Miss World Italy 2011 or locally known as Miss Mondo Italia 2011 beauty pageant will take place on June 11. Giada Pezzaioili, Miss Mondo Italia 2010 (photo above) will crown her successor at the end of the contest. 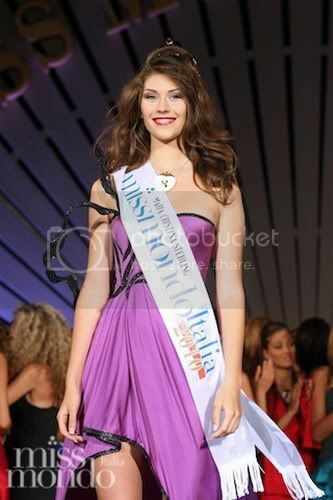 The new winner will represent Italy in Miss World 2011 beauty contest on November 6 in London, UK.